Can a school save a neighborhood? 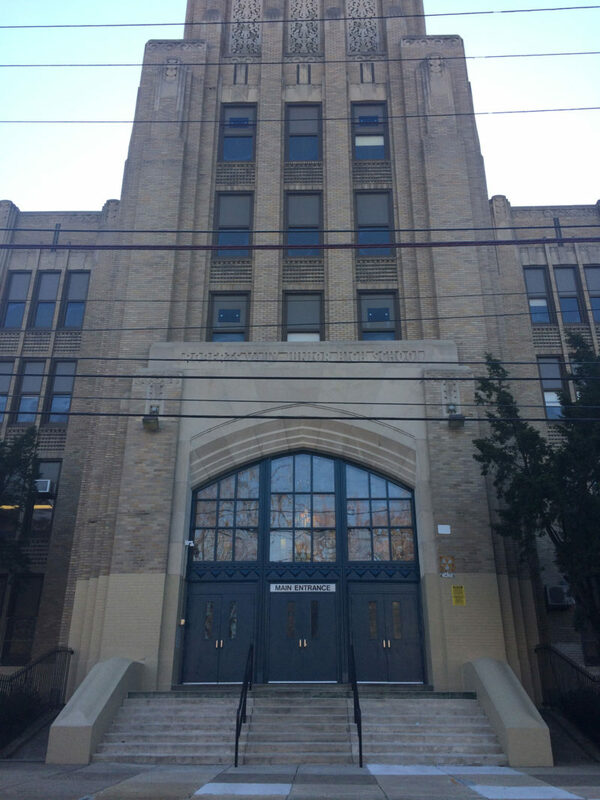 Philadelphia’s housing authority bought a high school. It hopes the institution can help reverse the fortunes of one of the city’s poorest areas. PHILADELPHIA — Ryan Moten’s grandmother remembers her time at Roberts Vaux Junior High School fondly: the sewing classes, cheering at basketball games and swaying during dances in the gym. Ryan’s mother remembers her stint at Vaux a generation later differently. The Sharswood-Blumberg neighborhood surrounding Vaux, by then a high school, had begun to buckle from poverty, drugs and gun violence. 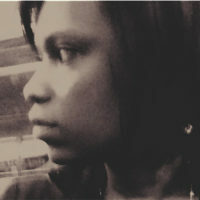 “I hated Vaux and I hated the neighborhood,” said Melody Pettie, 46, of the long-blighted North Philadelphia community. 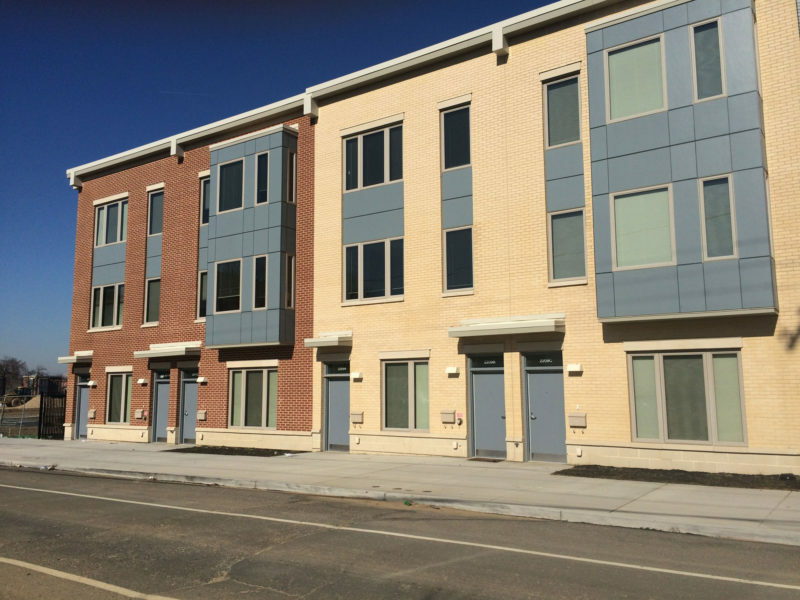 Vaux opened its doors again last September, part of a sweeping neighborhood revitalization effort led by the Philadelphia Housing Authority (PHA). The $500 million plan — the largest single undertaking in the history of the housing authority, according to officials — also includes the redevelopment of the neighborhood’s 510 units of public housing and roughly 10 blocks of a commercial corridor. PHA bought the historic Vaux building from the city school district for $2 million. The housing authority and the district, which manages the school, hired Big Picture Learning, a nationally recognized education nonprofit, to operate it. The school’s rebirth as Vaux Big Picture High School symbolizes the latest great experiment in the Philadelphia school district. Vaux’s redesign stresses creating close relationships with parents and community members and ways for student learning to continue beyond the classroom walls. Related: Can high-poverty urban districts like Philadelphia close the digital divide? The Vaux school building spans an entire block, resplendent with projecting end pavilions, terra cotta adornments and a two-story stone, Tudor-arched entryway. For years, the school, built in the mid-1930s as a middle school and named after an abolitionist, celebrated alumni such as painter Henry Ossawa Tanner and its national championship chess team. But Vaux also reflected the struggles of the school district and the surrounding community. By the time it closed in 2013 along with more than 20 other schools in the district, over three-quarters of Vaux students were not reading or performing math at grade level, according to state records. As part of the redevelopment plan, the Blumberg homes were razed in 2016, and families were temporarily relocated to public housing elsewhere in the city. 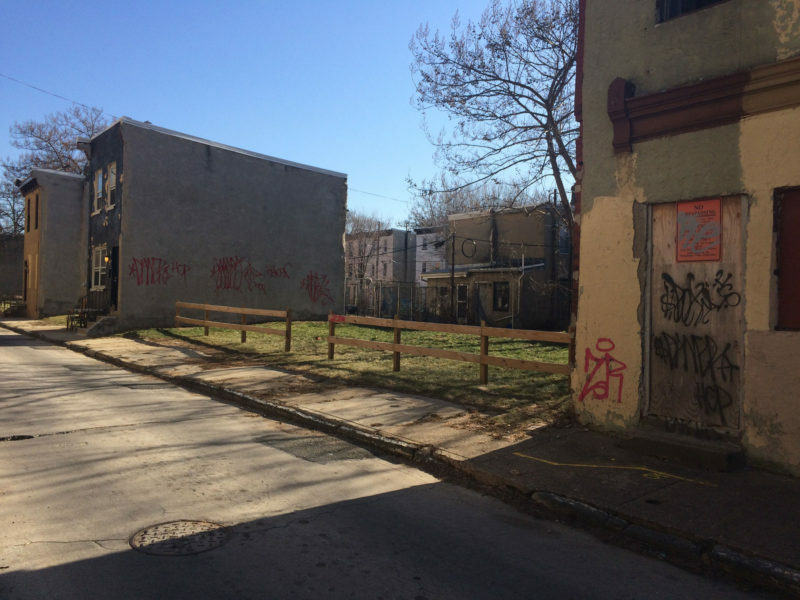 In addition, the PHA took ownership of some 1,300 vacant lots and deserted properties, hundreds of which had been seized by the city through eminent domain; PHA plans to redevelop the sites into affordable and market-rate housing. Now, across from boarded or charred row houses, and shrouded by vacant land where homes used to be, sprout new, colorful, white-shingled houses. Families are beginning to return — and PHA has promised to restore new housing at Blumberg for all of the residents displaced who want to come back. A native of Grenada who grew up in Brooklyn, Jeremiah said that “bringing good schools home is part of the civil and moral obligation. … I know all too well what it means to grow up in poverty and not have opportunities that give you life, a different type of meaningful life.” One of the first things he did in the renewal of Vaux was to remove the bars from classroom doors. He said he knew firsthand the crushing message that iron bars send to students: They had been deemed criminals. The new school, by contrast, would be a learning institution, where students could aim high. The new Vaux welcomed its first class of 126 ninth-graders in September; it plans to serve 504 students by 2020. All of its current students reside in North Philadelphia; more than three-quarters are supported by public housing. To enroll in Vaux, students must live in the neighborhood catchment area. Students who live in public housing are guaranteed acceptance into an admissions lottery controlled by the school district. The school has a waiting list. Vaux’s teachers agreed through their union to work longer days and school years. For Big Picture to retain its contract, the school must meet certain targets around enrollment, attendance and graduation. Each class has 18 students, according to administrators, and each group of 18 students has one advisor, who will move with the students from grade to grade through to graduation. The housing authority committed to spend up to $15 million to renovate the school. So far, 10 classrooms have been restored, along with a science lab, the cafeteria and the gymnasium (where the school’s blue Cougar logo bursts from the shiny hardwood floor). Half of the castle-like building remains closed, however, and the hallways are drab save for a few colorful murals. 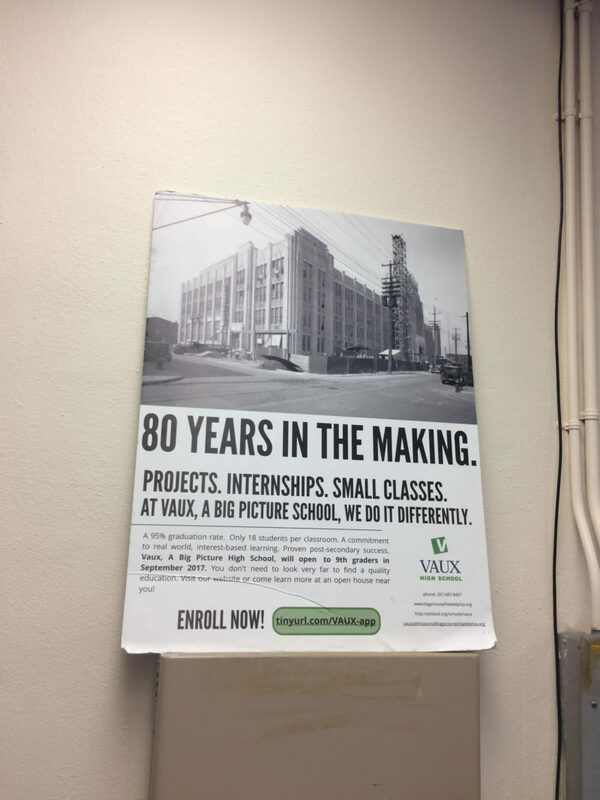 The Philadelphia Housing Authority bought the historic Vaux building from the city school district for $2 million as part of a $500 million effort to revitalize North Philadelphia. The school plans to turn part of the building into a community center that will offer heath care and day care services, along with college courses taught through a partnership with the local community college, to students and residents this fall. It also plans to hire a college counselor to begin advising students in their sophomore years. All Vaux students develop individualized education and wellness plans. A key component of the curriculum is a weekly field trip called “real-world-learning,” known as RWL. The students have visited places such as the Philadelphia Museum of Art, Temple University and a coffee factory. They are also preparing to intern twice a week next year with organizations across the city. Ninth-grader Layla Stevens, 15, visited the National Museum of Jewish American History on one RWL trip. Her memories of the Anne Frank exhibit stayed with her. “Her shoes, her clothing,” Layla recalled. Related: The end of ‘no excuses’ school reform? At the close of the new Vaux’s first semester, students had the floor. All of the students were asked to speak in their advisory rooms before an audience of classmates, school leaders and family members about their passions and challenges, their goals and gratitudes. The student presentations are held twice a year as part of the curriculum, to give students a clear voice. Ryan Moten stood by a projection screen that illuminated pictures of his family, whom he credited as his motivation to work hard. The images included his baby sister giggling; Ryan and his father standing with their arms around each other on a sunlit sidewalk; and he and his mother smiling at the camera, cheek to cheek. After he finished speaking, the audience, which included his grandmother and six-month-old sister, broke into applause. (His parents couldn’t take time off from work.) Moten’s advisor, science teacher David Bungard, embraced him. Layla Stevens, his best friend, praised Ryan’s honesty: “That was good, being a bigger person and admitting your faults.” “Your jawn was thorough,” another classmate declared, using Philadelphia argot’s all-purpose noun, to laughs and cheers of agreement. The educators at Vaux accept that non-school life will enter the classroom. Some families are couch-hopping or homeless. Many parents, even those who work two or three jobs, go without adequate food, clothing and health care. Students and their family members routinely reveal that a relative has been incarcerated or murdered or died by suicide, educators say. “We work in a system that has — whether we want to hear it or not — historically oppressed kids, and not just kids, but their families,” said Jody Ehrlich, one of Vaux’s two full-time resilience specialists, who provide one-on-one support to students and their families. 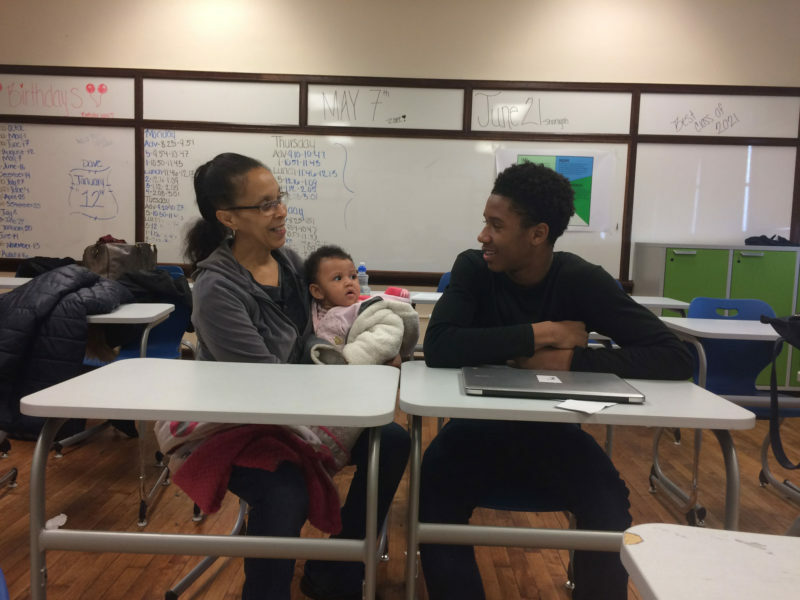 Sometimes high schoolers and their family members just need someone to listen to them or help them form a plan, said Margarita Davis-Boyer, the other resilience specialist at Vaux. She recalled telephoning a student’s mother to share that her son seemed out of sorts and wasn’t eating his lunch. Shocked that Davis-Boyer had picked up on his behavior, the mother revealed that her family was being evicted. She hadn’t considered that her son knew of the family’s housing problems. “One of the tools that parents now have is us,” said Davis-Boyer, adding that she gave the mother information about housing assistance organizations and ways to talk to her son. David Bungard, the science teacher and advisor known by most students as Dr. Dave, said he visited many pupils’ homes before the start of the semester. Bungard noted that he has the number of each of his students’ parents in his cellphone contacts. Those connections have proven valuable. Bungard recalls a phone call from a parent who warned him that a fight brewing on social media between two groups of students could erupt on school grounds. 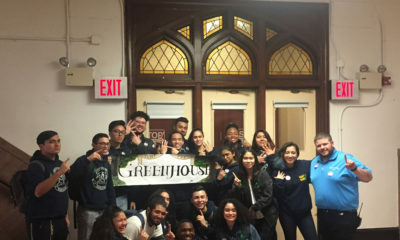 Staff brought the students, their parents and members of a local anti-violence group together to discuss the situation. “There were tears,” Bungard said of the students involved. “And there was a lot of ‘I heard you said that’ and ‘I didn’t really say that.’ ” Eventually, the students agreed to compose a letter of apology to the community and to each other.